Caroline Dormon (also known as Carrie Dormon) was a botanist, horticulturist, ornithologist, naturalist, and author from Louisiana. Caroline Dormon is considered the first woman employed in forestry in the United States. She worked closely with Louisiana and U.S. Forest Service leaders to establish parks and forestlands, comprising 600,000 acres, stretching over seven Louisiana parishes. As a child, she developed a life-long interest in plants and wildlife. She taught for several years in Louisiana schools, and then re-established her home at Briarwood in 1918. She began to collect, catalog and preserve native trees and shrubs. In 1922, she persuaded the United States Forest Service to establish a national forest in Louisiana. U.S. Representative James B. Aswell worked with Dormon to establish the Kisatchie National Forest in 1930 during the administration of President Herbert Hoover. Dormon was also a consultant for the popular Hodges Gardens State Park in Sabine Parish and she also proposed what became the 301-acre Louisiana State Arboretum, in Evangeline Parish, as part of nearby Chicot State Park in 1964. In 1965, The Caroline Dormon Lodge opened at the arboretum serving as a visitor center, library, and herbarium of native plants. 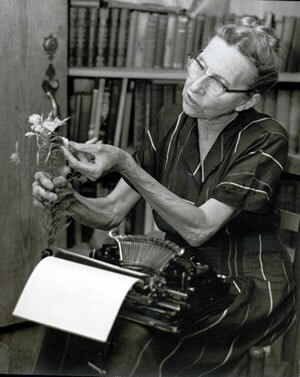 Her published works include: Wild Flowers of Louisiana (1934), Forest Trees of Louisiana (1941), Flowers Native to the Deep South (1958), Natives Preferred (1965), Southern Indian Boy (1967), and Bird Talk (1969). Dormon willed her home, Briarwood, to the public. It is now the headquarters of the Caroline Dormon Nature Preserve. There is also a Caroline Dormon Trail extending 10 miles in the Kisatchie Bayou Recreation Complex within the national forest. In August 2012, the Rapides Parish School Board opened Caroline Dormon Junior High School. Land for the project was donated by the United States Forest Service from the Kisatchie National Forest. Caroline Dormon died in 1971 at the age of 83.